Joseph Spuckler is in with a wonderful review of Ghosts of Tom Joad. His piece is full of excerpts from the book to illustrate his points, so best to read the full review. Every so often I pick up a book to review that not only wakes me up with a slap to the face but also beats me down and makes me realize how one decision put me where I am today and not unemployed, working for minimum wage, and a step away from being homeless. I felt very much like I could have been Earl if I had stayed. The story is very realistic and typical of the environment. I highlighted and noted almost as many passages from this novel as I would from a nonfiction book on an unfamiliar subject… It reads as real life. While there are a lot of books about the most recent Iraq war, there are very few books that try and show the civilian side of the conflict. We all know the rough outline of the narrative—US invades, society breaks down, sectarian violence spins off into civil war, followed by a low hum of more targeted violence and unstableness that now characterizes life in “free” Iraq. Broad strokes; but what was history like for the average Iraq? Until now, few have told us their stories. Voices from Iraq: A People’s History, 2003-2009 is an imperfect book, much as could be expected from a first oral history of the civilian side of the war. Author Mark Kukis interviewed those he could reach, restrained by the continuing violence in Iraq that threatened both him and his subjects. Consequently, more than a few of the subjects are Iraqis who worked for Western media outlets or who otherwise interacted with the Americans. However, Kukis, through friends of friends, did gain access to a number of more ordinary people, and it is in these interviews that the book shines. Tale after tale accumulates around you, like snow piling up: a son killed, a child murdered, a father kidnapped, a bombing, an assassination, a life ruined by torture. Before you realize it, you are drawn deeply into the horrific world the US created in Iraq post-2003, forced to acknowledge America’s complicity by the simple tone of the stories, the tellers too tired to embellish and too plain in their suffering to politicize what happened to them. If journalism is the first draft of history, this is version 1.5. Readers interested in a 360 degree view of events in Iraq 2003-2009 should listen to these Voices. 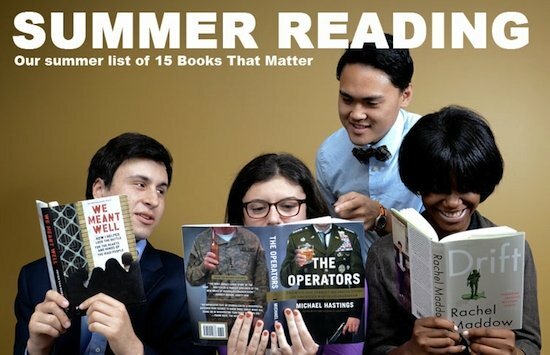 The Project on Government Oversight (POGO) published its summer reading list, and was kind enough to include We Meant Well alongside books like Michael Hastings The Operators, Drift by Rachel Maddow and Black Banners by Ali Soufan. The whole list is worth reading and, packed on to your Kindle and digested over the summer, provides a tidy snapshot of the current state of the War of Terror. One of the few books I have not read on the list is Beautiful Souls: Saying No, Breaking Ranks, and Heeding the Voice of Conscience in Dark Times by Eyal Press. The book tries to explain what impels ordinary people to defy the sway of authority and convention and become whistleblowers, protesters and heroes. The conclusion tracks with my own experience and the experiences of the other whistleblowers I have come to know, that acts of dissent are often carried out not by radicals seeking to overthrow the system but by true believers who cling to their convictions. See the whole list of summer reading over at POGO. Captivity: 118 Days in Iraq and the Struggle for a World Without War is a new book by James Loney recounting his days in Iraq, a victim of kidnapping. Loney went to Iraq as part of a Christian anti-war group, stumbled along with three colleagues into the vicious sectarian nightmare created by the US invasion and was held for ransom alongside his friends for those 118 long days and nights before being freed by US and British Special Forces. Ostensibly about the kidnapping ordeal itself, Loney’s book is actually about Faith. It is a powerful document to the power of Faith to push believers through the worst hardships, of Faith to conflict with the harder realities of war and of Faith as a way to live one’s life. Expecting a cowboys and Indians tale of survival and Special Forces machismo, I was first caught off guard and then drawn in to the more simple story. Loney begins his journey to Iraq believing he and other Christians can somehow affect the chaos there as a “Christian Peace Team.” Their goal is to negotiate, mediate and at times physically separate warring parties in hopes of achieving peace. Their naiveté is palatable, almost comical to anyone even vaguely familiar with the horrors of Iraq, yet decent writing and an almost childlike belief in his faith make Loney’s motives credible. He and the others are kidnapped immediately, as expected. The bulk of the book details the hour-by-hour struggles to stay alive and strong in captivity. While the four men were not tortured, they spent their days chained and had little food and no amenities. The spectra of death was present, and their limited ability to communicate with their captors kept the anxiety high. As one can imagine, spending 118 days chained together under such conditions makes for rough interpersonal relations, and how the men called on their faith to stay mentally whole and not turn on each other sticks with the reader. A secularist myself, faith remains something of a mystery and the window Loney provides is revealing. That said, Loney leaves the reader wanting more. Did none of the men ever seriously question their faith while in captivity? 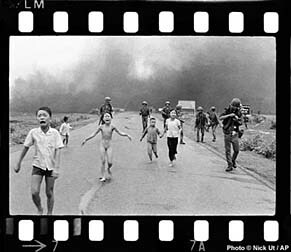 When confronted by a US Army officer angry at having risked his life to save people he felt were so stupid they never should have been allowed into Iraq, why was Loney silent? Any reflections on an antiwar group being freed by Special Forces’ violence? After the men were released, they refused as a matter of conscience to testify against their captors, knowing their testimony would result in the death penalty. Was this decision taken lightly? 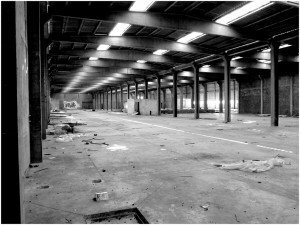 Were there no crisis’s of faith to confront? More introspection and less certainty would be welcome. Readers looking for insights into Iraq will probably not enjoy Captivity , but those seeking a deeper understanding of the role faith plays in the lives of believers will come away awed by Loney’s book. God bless him for it. A new review on the blog SpyTalk says some nice things about the book. 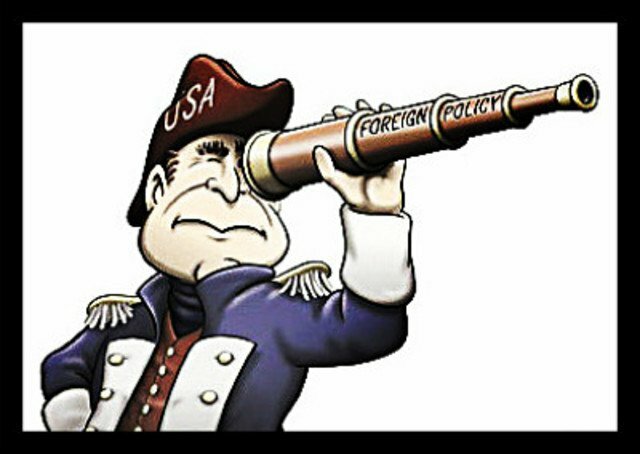 The blog is a must-read for Washington insiders keeping track of naughty and nice developments in the intel community. Now, a handful of wars later, comes “We Meant Well: How I Helped Lose the Battle for the Hearts and Minds of the Iraqi People,” by Peter Van Buren, a veteran State Department officer who spent a year working in the black hole of the notoriously inept, $63 billion Iraqi reconstruction program. If this ain’t “Catch-22” (which has just been reissued in a 50th-anniversary edition), it’s awfully close. For sure, it’s not a novel, but as they say, you can’t make this stuff up. But like Catch-22, “We Meant Well” is held together by Van Buren’s hilariously rendered absurdities, from his encounters with self-important Iraqi and American officials and their fictitious reconstruction projects to the U.S. command’s annual — which is to say, once a year– distribution of a single can of beer to the troops. I laughed ’til I cried. But I think that was the point. Read the whole review on SpyTalk. While I especially wish I had read this book before I went to Iraq, I am glad to have been able to read it after I came home. Among the many things we lacked in Iraq (good food, loved ones, adult supervision), the history of the place, specifically what previous Americans had done on the same ground interacting with the same people, was high on everyone’s list. There was simply no record keeping, no oral history of what happened just before you arrived. That meant not only ignoring Santayana’s famous dictate (“don’t remember history, doomed to repeat it”), it meant flushing it right down the pooper. This mattered to us, and it matters to you if you are interested in the full story about how things went so wrong in Iraq. Until some future historian ties all of these threads together and produces a definitive history of the invasion and occupation, you the reader will need to do it one book, one year of duty, at a time, pretty much the same way it happened. Jason Whiteley’s story will help. Money was indeed Whiteley’s weapon. He immediately fell into the trap of failed quick fixes to complex problems, and slipped deeper into the muck when clever attempts to play one Iraqi side off the other backfired in violence (Hint: they have been playing this game way longer than we have). His early enthusiasm and optimism fade into a familiar pattern of cynical “making do,” sadly capped off with the death of a close teammate in a fight that accomplished nothing. The book ends in 2005 with Whiteley and his unit returning stateside, their war in al Dora thankfully over. There was little to show for the effort. I say that with some authority, as the same ground Whiteley covered, and many of the same characters, were in my own area of responsibility as a PRT Team Leader in Iraq 2009-2010. Five years after Whiteley left, al Dora remained a nasty, violent place. The Sunni-Shia violence he writes about continued, albeit at a slightly lower tempo as so many Sunnis had been killed or driven out between Whitely’s tour of duty and my own. We did still keep digging the same hole, however, and a chapter in my own book We Meant Well chronicles the silliness of the USG paying to hold an art show in this same violent neighborhood. Some other well-meaning American is there now, no doubt meeting some of the same questions, ignorant of the other Americans who walked those same streets. I hope he gets the chance to read Jason Whiteley’s book.